One of the hottest topics nowadays is automation. People got divided into those who believe that automation is a powerful tool that brings positive changes in every industry, other people consider automation as a “job-killer”. However, more and more people agree to the fact that automation gives freedom. Freedom from tedious work that takes an enormous amount of time and does not give a sense of meaning and well-being. One of the fields that have dramatically changed due to the boost of modern technology, AI and automation is healthcare. Finally, thanks to the automation, many hospitals said a firm “bye” to some mundane and time-consuming tasks and put a client comfort as priority and quality medical service as obligation and responsibility. If you also want to transform your hospital and automate the workflow, keep reading and learn 9 powerful strategies that will help you not only automate the processes but significantly cut expenses. Electronic Health Record keeping system is not “would be nice to have”, but “a must”. Having carefully stored digital records about every patient on a cloud-based platform is of a vital importance for two main reasons. First of all, it cuts down on paperwork, allowing patients and doctors to concentrate on the health problem instead of filling out numerous forms. Secondly, It reduces human errors in medical records and as a result prevents misdiagnosis, complications, costs and even deaths. To optimize the processes of your healthcare system and increase ROI, you have to choose an analytics solution. This is not hard at all. For instance, a lot of EMR vendors like Epic, Cerner or Modernizing Medicine along with a wide range of healthcare management opportunities provide advanced analytics solutions. You will have access to the elaborate reports that will enable you to see the detailed picture of all the clinical and financial processes, identify the real needs and problems of your patients, weak and strong side of your medical team, and, therefore, come up with fresh ideas on how to automate and optimize the processes. Calling every patient to remind about the appointment is a waste of precious time of your staff. Nowadays, this process can be easily automated with the help of one of the numerous available appointment reminder software. 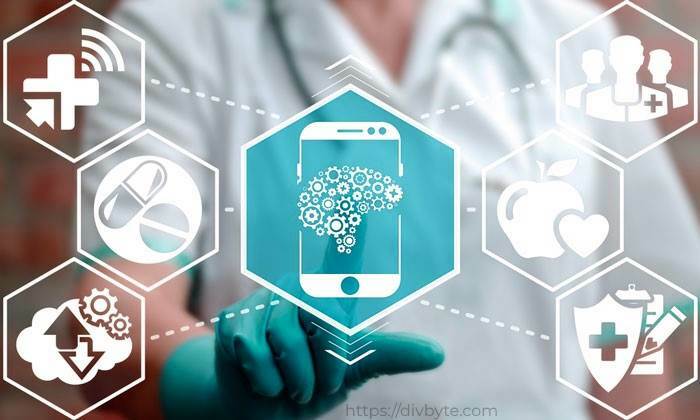 For instance, Cliniconex is a great solution to reduce no-shows by email, text and voice notifications informing the patient about an upcoming appointment, annual check-up or details of the lab work. One more app that received a lot of positive feedback from healthcare institutions is Appointment Reminder. Choose any, and let your team and patients experience its benefits. Onboarding is a crucial stage during which your new workforces learn about the organization’s mission and acquire the necessary skills and knowledge to become an indispensable team member. It can be a cumbersome process, but you can greatly simplify it and help your new talents easily integrate into your hospital and its culture. What you have to do is to replace paper documents with electronic forms and templates. It will help you to engage your employees, speed up the completion of tasks and ensure policy compliance. Automation of the onboarding process is uber easy now due to such platforms as FormFast or KissFlow. The admission process is usually a hassle and a real turn off for every patient. To save time and improve customer experience, you have to move from traditional paper-based process to the automated one. It would be much easier for the doctor to approve such requests as discharge via the mobile app and for the patient to go through the admission process without long waiting and signing procedure. Managing a hospital, you should be focused on the efficiency of the process and productivity of your team. There are a lot of manually intensive tasks that can be performed by machines and much faster. By assigning some tasks to machines, you do not have to fire your employees, you just let them concentrate on much more complicated tasks that they have been trained for. For example, the University of California, San Francisco Medical Center has applied a fleet of TUG robots that can deliver drugs and meals to the patients and help carry away trash and medical waste. The TUG robot helps the nurse put her time and efforts into the accomplishment of other crucial duties. Artificial intelligence is what can greatly transform your hospital and improve its competitive edge. Let’s take for instance IBM Watson, a medical genius and a brilliant diagnostician. This is not just a cloud-based platform that stores a wealth of medical information, the intelligence of IBM Watson lies in its abilities to understand natural language, generate hypotheses, and the most important — learn. This bad boy can give the doctor solid advice and enhance the decision-making process by eliminating the possibility of mistake. Such a collaboration of medical professional and AI will lead to nothing else but positive patient experience and improvement of population health. Telemedicine is a virtual way of delivering health care. It will help you provide health care to more patients remotely and reduce unnecessary face-to-face visits with physicians. Using telemedicine technologies, your patients save time on travels and your medical team can manage their tasks and duties more efficiently. Hospitals that start using telemedicine software claim that they can handle the twice bigger amount of cases while generating significant cost savings. Your hospital can become one of those successful hospitals as well. Irritated patients waiting for assistance going through a long process of documentation and registration. Nurses are always in a rush to bring medicine to the patient and make a hundred calls to remind other patients about the appointment. Lots of endless paperwork for all your medical staff. Error and mix-ups on a regular basis are causing even more problems and stressful situation for both your team and patients. Satisfied patients do not stress themselves out by tedious processes and waiting in long queues. Patients can access all the needed data on the go with the help of your hospital app. All the patients are reminded about the appointment and 99% of them are currently discussing the treatment and recovery procedure with their doctor. 0% of paperwork, all the records are stored on the cloud-based platform and easily accessible to medical staff. 30% of repeated tasks are performed by intelligent software and robotics, while your medical team is focused on the urgent problems and core goals of healthcare. If you need assistance on how to automate processes in your hospital, do not hesitate to contact Divbyte for a free consultation today. We will come up with the solution to any problem and develop advanced software meeting the requirement of your medical team and your patients.